Dog on Sno' Dog ! We needn’t have worried – it worked out just fine! 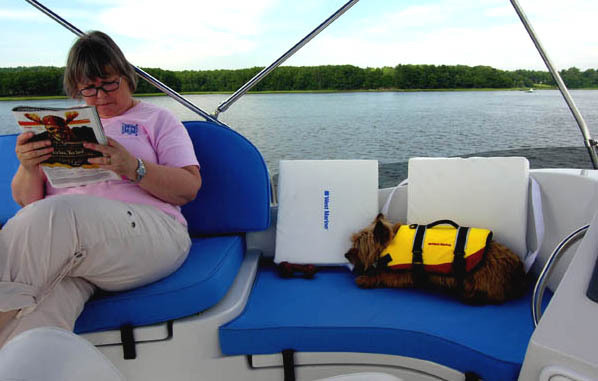 And the Sno’ Dog turned out to be a very pet friendly boat. Madison enjoyed her strolls around the wide decks, and (perhaps thanks to a large seagull dropping on the foredeck our first night out) she was able find a suitably smelly spot to pee – conveniently located near our deck-wash outlet, no less! 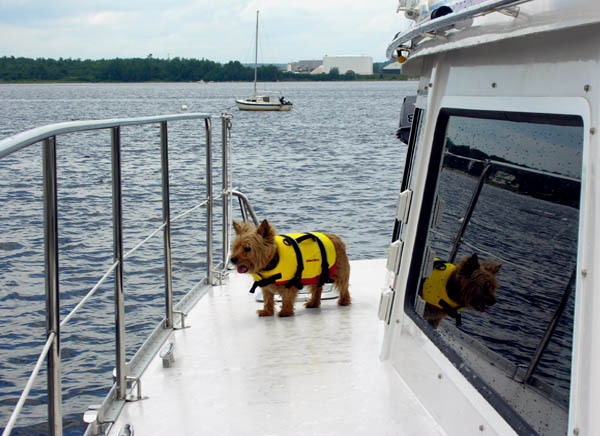 We assumed from the beginning that our Norwich Terrier Madison would be our cruising companion, but until now, there’s always been a convenient way to leave her home. So, it was with a bit of trepidation, that we loaded her aboard – particularly on a cruise where we anticipated spending many nights moored out away from the dock. With her short legs, she didn’t attempt the steps to the fly-bridge, but she was able to negotiate the steps in and out of the cabin. She could also go down the steps into the hulls (but not back up). Once down there she was able to climb into bed with us – as she does at home. In general, she seemed very comfortable aboard and never once complained! 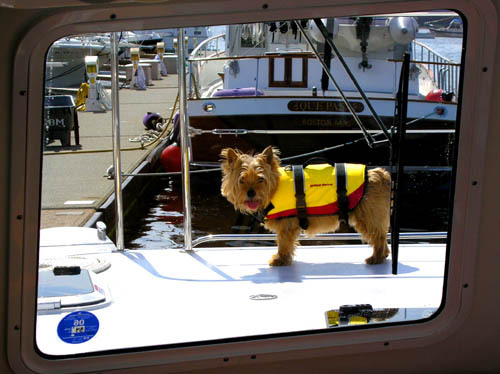 She was a great greeter as we came into the dock. Several times people would come over to pat her – sometimes before taking our lines! 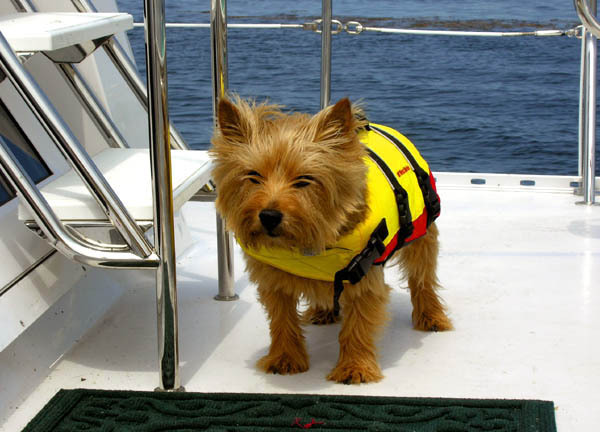 When underway or docking, we put on her little doggie DFD (Doggie Flotation Device - from West Marine) which she wore with less fuss than most kids. 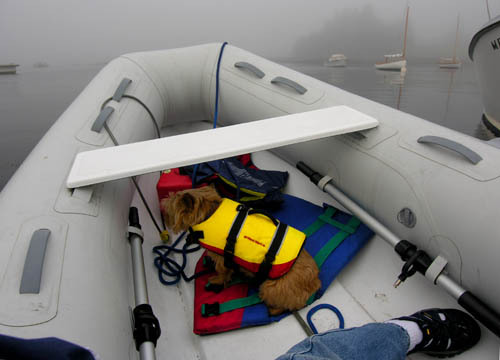 This life jacket had a handle on the back which made it a simple task to lift her one-handed on and off the boat and in and out of the dinghy as well. We’re very happy that this worked out so well -- we fully expect she’ll be a regular crew member on future cruises.